Generally, the parties can agree the time of title transfer in the shipbuilding contract, but in any event the transfer of the ship’s title shall be registered with the competent ship registration authorities, otherwise the transfer of title shall not be valid against a third party. China (PRC) is still implementing a foreign currency control policy. As such, if a refund guarantee is issued by a bank or other financial institution in China for the benefit of a foreign legal person, the refund guarantee shall be subject to prior approval of the State Administration of Foreign Exchange of the PRC, otherwise the refund guarantee will be considered void under Chinese law. If a refund guarantee is considered void, the statutory provisions governing the consequences of a void contract shall apply and the party at fault shall compensate the innocent party. Yes, in theory the shipowner is entitled to apply to the competent maritime court to issue a maritime compulsory order in accordance with the Special Maritime Procedural Law to press the shipyard to deliver the vessel, but generally the shipowner will be demanded to provide counter-security when applying to the court to issue the order, and the sum of the counter-security will be up to the ship’s value. As guided by the doctrine of privity of contract, unless otherwise provided, the shipbuilding contract will only prevail between the contractual parties. As such, except for the original shipowner who concluded the shipbuilding contract with the shipyard who can make a claim in contract, the other parties who sustained damage because of a defective vessel can only claim against the shipyard under the tort law. It is still controversial on whether the Product Liability Law can apply in the shipbuilding industry. other vessels that the China Maritime Safety Administration (MSA) deems to be registered. The registration of military vessels, fishing vessels and sport vessels in China is governed by other regulations. A foreign vessel demised-chartered by a Chinese corporate legal person can be registered under the PRC flag provisionally, but the original registration port or country shall also be listed in the registration certificate. A vessel under construction in China may be registered under the PRC flag and granted with a certificate of temporary Chinese nationality after registration. In addition, according to Measures on the Registration of Ships 2016, a vessel owned by corporate legal persons incorporated in China only for the internal use, or a vessel owned or demise-chartered by corporate legal persons incorporated in the pilot free trade zone of China that engages only in the international trade, can be registered under the PRC flag even if the share of investment of the foreign investors exceeds 50 per cent. All individual persons, legal corporates or legal entities with residence or principal place of business in China may apply to register a ship in accordance with the law and rules. Generally, the documents evidencing the legal status of the ship shall be submitted when applying for registration. Accordingly, the documentary requirements for registration may vary depending on how the title of the ship is acquired. a document evidencing that the ship is not under a mortgage or that the mortgagees have agreed to the transfer of the mortgaged ship to the other person. For the registration of ownership of a newly built ship the documents shall include the shipbuilding contract and the document of delivery and acceptance of ship, or the shipbuilding contract only if the ship is still under construction. For the registration of ownership of a ship procured through inheritance, bestowal, auction under legal process or court judgment, a document with appropriate legal effect evidencing the transfer of the ship’s ownership shall be submitted. If a shipowner applies for the registration of Chinese nationality of a ship purchased overseas with foreign nationality, then a certificate issued by the original foreign ship registry authorities to the effect that the ship’s original nationality has been deleted or will be immediately deleted upon the new registration is made, will be also required. Dual registration and flagging of a ship is not permitted under Chinese law. The Chinese authorities will not grant Chinese nationality to a ship before it is confirmed that its original nationality registration is deleted or suspended. For the military vessels, fishing vessels and sport vessels, ship registration is governed by other regulations in China. The limitation regime applicable to maritime claims is mainly established by way of domestic legislation in China, and the parties who can limit their liability are the shipowner (including the charterer and the operator of a ship) and salvor, the servants or agents of the shipowner or salvor, and the insurer of liability of the shipowner or salvor, whichever is applicable. The main content of the maritime limitation regime in China is summarised as follows. China is not party to the Hague-Visby Rules, but a carrier’s liability for the loss of or damage to the goods is the same as that provided for in the Hague-Visby Rules as amended by their 1979 special drawing rights (SDR) Protocol, which is provided in Chapter IV of the Maritime Code of the PRC. More specific, a carrier’s liability shall be limited to an amount equivalent to 666.67 SDR per package or other shipping unit, or two SDR per kilogram of the gross weight of the goods lost or damaged, whichever is the higher. The liability of the carrier for the economic losses resulting from delay in delivery of the goods when the carrier fails to deliver the goods within the time frame expressly agreed between the carrier and the shipper, shall be limited to an amount equivalent to the freight payable for the goods so delayed. A higher limit of liability may be agreed between the carrier and the shipper in writing. The Convention on Limitation of Liability for Maritime Claims 1976 (LLMC Convention 1976) is only applicable in the Hong Kong Special Administration Region of PRC, but not applicable in mainland China. The new limits as provided for in its 1996 protocol will not apply in the PRC (including Hong Kong). (iv) claims of a person other than the person liable in respect of measures taken to avert or minimise loss for which the person liable may limit his or her liability, and further loss caused by such measures. With respect to the remuneration set out in (iv) above for which a person liable pays as agreed upon in the contract, the person liable cannot limit liability in relation to the obligation for payment. The amount of limitation of liability for maritime claims of a vessel engaged in international trade with a gross tonnage in excess of 300 gross tonnes (GT) shall be calculated as follows. for each ton in excess of 70,000 GT: 167 SDR. for each ton in excess of 70,000 GT: 83 SDR. Limitation of liability of any salvor not operating from any ship or operating solely on the ship to, or in respect of which, he or she is rendering salvage services, shall be calculated according to a GT of 1,500 tonnes. for a ship with a GT in excess of 21, 1,000 SDR shall be added for each gross ton in excess of 21 GT. for a ship with a GT in excess of 21 GT, 500 SDR shall be added for each GT in excess of 21 GT. Limitation of liability for maritime claims for ships engaging in transport service between ports of China or coastal operations in China shall be calculated on the basis of 50 per cent of the limitation of liability provided for ships engaging in international trade. Limitation of liability for oil pollution damage within the scope of application of the International Convention on Civil Liability for Oil Pollution Damage of 1992 (CLC 1992), to which China is a party, shall be determined in accordance with the convention. If oil pollution damage falls outside the scope of application of the CLC 1992, then the limitation of liability shall be determined in accordance with (2) or (3) above. The procedure for establishing a limitation fund is provided for in Chapter IV of the Special Maritime Procedure Law. After the occurrence of a maritime accident, the shipowner or other person who is entitled to limit liability may apply to a maritime court with jurisdiction for the establishment of a limitation fund for the maritime claims subject to limitation. The limitation fund can be established either by way of cash deposit or by way of security satisfied with the competent maritime court. The limitation fund shall be established in yuan and shall be calculated according to the conversion rate of yuan against SDR of the day when the award issued by the court allowing the establishment of a limitation fund becomes effective. If following the maritime accident there is only one claimant, then the shipowner may invoke the liability limitation as defence during the hearing, without applying for the constitution of the limitation fund. The establishment of a limitation fund may be applied for either before legal proceedings have been initiated or during the legal proceedings that a claim has been commenced, but in any event the application for establishment of a limitation fund shall be made before the delivery of first-instance judgment. A person liable shall not be entitled to limit his or her liability if it is proved that the loss resulted from his or her act or omission done with the intent to cause such loss, or recklessly and knowing that such loss would probably result. In practice it is very difficult to prove a shipowner’s wilfulness or recklessness to cause the loss. As such, although there have been some precedent cases wherein the shipowners’ right of limitation is broken, it is a very rare scenario. China is party to the Athens Convention relating to the Carriage of Passengers and their Luggage by Sea of 1974 as amended by its 1976 SDR Protocol. Chapter V of the Maritime Code has the same provisions as those contained in the Athens Convention, except for the limits of liability of carriers in the carriage of passengers between Chinese ports. Details are as follows. for loss or damage to other luggage: 1,200 SDR per passenger per carriage. A higher limit of liability may be agreed between the carrier and the passenger in writing. The total amount of limitation of liability of the shipowner for loss of life or personal injury to passengers shall be an amount of 46,666 SDR multiplied by the number of passengers the ship is authorised to carry according to the ship’s relevant certificate, but the maximum amount of compensation shall not exceed 25 million SDR. for loss or damage to the passengers’ other luggage: 20 yuan per kilogram of the luggage. A higher limit of liability may be agreed between the carrier and the passenger in writing. The total amount of limitation of liability of the shipowner for loss of life or personal injury to passengers shall be 40,000 yuan multiplied by the number of passengers that the ship is authorised to carry according to the ship’s relevant certificate, but the maximum amount of compensation shall not exceed 21 million yuan. As empowered by the Maritime Traffic Safety Law of the PRC and the Rules on the Supervision and Administration of the Ship’s Safety in the PRC, the MSA acts as the port state control agency in China. deporting the vessel from a port. Where a vessel that violates the law refuses to allow a safety inspection or obstructs the inspector conducting a safety inspection, or where a vessel does not correct its defect, the MSA shall have the right to impose a fine on the vessel, its owner, operator or manager up to 30,000 yuan. The interests of the ship against which the detention order is imposed shall have the right to make a statement and contention of the sanctions made by the MSA inspectors. The MSA inspectors shall also inform the appeal procedure to the ship interests. The ship interests may also consider commencing administrative proceedings against the MSA requesting for revoking the detention order, but the process will be very lengthy. The classification society approved by the Chinese government to conduct statutory surveys of vessels flying or planning to fly the Chinese flag is the China Classification Society. According to the relevant laws and rules, the classification society or the surveyors might be held to assume administrative liability should there be faults in the surveys. In theory the classification society or the surveyors could also be held to assume civil liability if the causation between their faults and the damage to other parties can be justified, but in practice we have not seen any precedent cases to this effect in China. Article 40 of the Maritime Traffic Safety Law of 1983 amended in 2016 authorises the MSA to take necessary and compulsory measures where a vessel is involved in an accident that jeopardies or may jeopardies traffic safety. It is provided that, with respect to a sunken or drifting vessel or other object that affects the safety of navigation, the dredging of waterways or constitutes a threat of explosion, the owner or operator shall lift or remove such a ship or object within a deadline set by the MSA; otherwise, the MSA may take compulsory measures to lift or remove the ship or object at the expense of the owner or operator of the ship or object. Where a vessel is involved in an accident occurred in inland waterways, the Regulations on the Traffic Safety in Rivers of 2002 amended in 2017 shall apply; article 42 of the regulations has the same effect as the Maritime Traffic Safety Law of 1983. Nairobi International Convention on the Removal of Wrecks 2007, but only applied in the Exclusive Economic Zone, not applicable in territorial waters. There is no mandatory local form of salvage agreement in China. What is recommended by the China Maritime Arbitration Commission is the Standard Form of Salvage Contract Form of 1994. In other words, the parties can agree to apply Lloyd’s standard form of salvage agreement. The main companies that carry out salvage operations in China are the Yantai Salvage Bureau, the Shanghai Salvage Bureau and the Guangzhou Salvage Bureau, which are all under the direction of the Ministry of Transport. There are also many private salvage companies which can carry out salvage operations in China. Usually all these salvage companies have close connection with MSA. China is a party to the International Convention Relating to the Arrest of Seagoing Ships 1952, but this convention is applicable only in Hong Kong. China is not a party to the International Convention on the Arrest of Ships 1999.
any dispute arising out of a contract of sale of vessel. The arrest of a vessel cannot be applied for based upon claims other than the above-listed maritime claims, unless for the enforcement of an effective court judgment, arbitration award or other legal document. The maritime court may arrest other vessel that, when the arrest is attached the vessel is owned by the owner, bareboat charterer, time-charterer or voyage charterer of the offending vessel who is liable for the maritime claim giving rise to the arrest, but this rule shall not apply if the claim is in relation with ownership or possession of a vessel. According to article 23 of the Special Maritime Procedure Law, a demise-chartered vessel can be arrested for a claim against the demise-charterer, provided that when the ship arrest is attached the vessel is still owned or demised-chartered by the party who is liable for the claim. A vessel under time-charter cannot be arrested for a claim against the time-charterer. (v) compensation claims for loss of or damage to property resulting from tortious acts in the course of the operation of the ship. Compensation claims for oil pollution damage caused by a ship carrying more than 2,000 tonnes of oil in bulk as cargo that has a valid certificate attesting that the ship has oil pollution liability insurance coverage or other appropriate financial security are now within the scope of sub-paragraph (v) of the preceding paragraph. The maritime claims set out in (i) to (v) shall be satisfied in the order in which they are listed. Any of the maritime claims set out in (iv) arising later than those under (i) to (iii), however, shall have priority over those under (i) to (iii). Where there are more than two maritime claims under (i), (ii), (iii) or (v), they shall be satisfied at the same time, regardless of their respective occurrences; where they cannot be paid in full, they shall be paid in proportion. Should there be more than two maritime claims under (iv), those arising later shall be satisfied first. While article 20 of the Special Maritime Procedure Law has explicit provision to the effect that a maritime claimant who has wrongfully applied for preservation of a maritime claim shall indemnify the person against whom the claim is made or the interested person for the losses thus incurred, which suggests China has the mechanism of wrongful arrest, so far there has not been any clear legislation defining what kind of ship arrest action shall be deemed as wrongful arrest. It is generally considered that, so far as the claimants can establish a prima facie claim against the owner or bareboat charterer of the ship, the ultimate failure of the claim is not sufficient to substantiate wrongful arrest. We tend to the view that bad faith will be an important element taken into account by the Chinese judge when deciding the dispute of wrongful arrest, but in practice we very rarely see precedents wherein the claimant is adjudged to assume indemnity liability on account of wrongful arrest. China does not have the regime of suit in rem, and therefore a bunker supplier will have difficulties in applying for a ship arrest order based on a bunker supply contract with the charterers. As an exception, if the charterers mentioned above refer to bareboat charterers, then the ship arrest order might be granted by the maritime court provided that when the ship arrest is attached the vessel is still owned or demised chartered by the party who is liable for the bunker price. According to the Special Maritime Procedure Law and the Supreme Court’s guidance, the maritime court shall enjoin the arresting party to provide counter-security. In practice, an application for ship arrest may not be allowed if the maritime claimant fails to provide a counter-security as required by the maritime court. According to the Supreme Court’s guidance, if the arresting party is a crew member involved in the employment dispute, or a claimant suffered personal injury at sea or other navigable waters, and in the meantime the related facts and the rights and obligations are clear, the maritime court can refrain from demanding a counter-security from the arresting party. 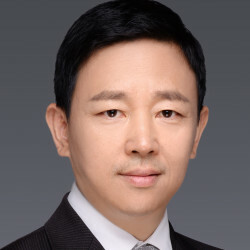 The counter-security to be provided by the arresting party could be cash deposit or other security such as a letter of security issued by a Chinese commercial bank or a Chinese insurance company or the China Shipowners Mutual Assurance Association (China Protection and Indemnity (P&I) Club). A letter of security issued by a foreign entity is normally not acceptable to a maritime court. In respect of the amount of a counter-security, article 76 of the Special Maritime Procedure Law provides that it shall be equal to the amount of loss that may be suffered by the arrested party as a result of the arrest and its specific amount shall be decided by the pertaining maritime court. The Supreme Court’s guidance further provides that the amount of a counter-security shall cover the vessel’s maintenance costs and expenses occurring during the period of arrest, loss of use caused by the arrest and the cost that the respondent may incur in procuring the security for the release of the vessel from the arrest. If after ship arrest it is revealed that the counter-security provided by the applicant has become insufficient to cover the possible loss suffered by the respondent, the maritime court shall order the applicant to provide supplementary counter-security. According to article 76 of the Special Maritime Procedure Law, the amount of security shall be equal to the amount of the claim but shall not exceed the value of the vessel arrested. In practice a reasonable uplift will be allowed when deciding the security amount. The arrested party may apply to review the amount of security ordered by the maritime court, but the court’s order is not subject to appeal. In addition, according to article 77 of the Special Maritime Procedure Law, even after the arrested party or other person has provided the security, they may apply to the maritime court for reduction, alteration or withdrawal of the security if they have justifiable reasons to make such request. The security to be provided by the arrested party could be cash deposit or other security acceptable to the maritime court, such as a letter of security issued by a Chinese commercial bank or a Chinese insurance company or the China P&I Club. A letter of security issued by a foreign commercial bank or insurance company is normally not acceptable to the maritime court, unless agreed by the arresting party. If the parties have disputes on the forms and amount of the security to be provided (including the wording of the letter of guaranty), the maritime court shall make a ruling. Strictly speaking, when a party appoints a lawyer to make the arrest application, the lawyer shall submit an original power of attorney (POA), proof of incorporation of the arresting party and certificate of identity of legal representative of the arresting party in addition to other application documents proving that the arresting party has a mari­time claim that may give rise to the arrest of the vessel to be arrested, together with the exact information of movement or where­abouts of the ship to be arrested. If the arresting party is registered outside China, the POA and all other application documents shall be notarised by a local notary public in the country where the arresting party is registered and legalised by the Chinese embassy or consulate in that country. The Apostille Convention is applicable in Hong Kong and Macao, but not in mainland China. If there is insufficient time available to comply with all the required formalities, it is up to the maritime court to decide whether to set the arrest procedure in motion while the arresting party or its lawyer undertakes to the court to complete the formalities within a time limit. If the POA or other application documents are not in Chinese, a Chinese translation is needed. It varies in different courts as to the translation formalities (ie, some courts may require translation made by a sworn public translator). Usually the application documents shall be filed in original, which shall be executed by the arresting party. If all the maritime court’s requirements on the documentation can be satisfied, then on average the ship arrest order can be granted within 48 hours. Normally a ship shall be managed by the shipowner or the bareboat charterer (or the ship management company it is entrusted to) during the period of arrest. If the shipowner or the bareboat charterer does not perform the duties for the ship management, then the maritime court may entrust a third person or the maritime claimant to manage the ship on behalf thereof; relevant costs arising therefrom shall be borne by the shipowner or the bareboat charterer, or may be paid preferentially out of the proceeds from auction of the ship. According to the relevant Chinese law, the arresting party shall pursue the claim on its merits by bringing an action with the maritime court that effected the arrest of the vessel or other maritime courts which shall have jurisdiction over the disputes, within 30 days of the date of the arrest of the vessel, otherwise the maritime court will order the release of the vessel under arrest or return the security that has been provided to release the vessel. It is also provided that if the parties to a ship arrest action have jurisdiction or arbitration agreement, then in principle such agreement shall be respected. That said, theoretically speaking it is possible to arrest simply to obtain security and then pursue proceedings on the merits elsewhere pursuant to the jurisdiction or arbitration agreement, but in any event the proceedings must be commenced within 30 days of the date of arrest of the vessel. For completeness, if the parties to a ship arrest action wish to have a longer amicable negotiation period and do not wish to commence the proceedings within 30 days after the ship arrest, the parties may reach an agreement to the effect that the reliable security is provided by the arrested party to the claimants directly (rather than providing the security to the maritime court) and following which the claimants shall file an application to the maritime court for releasing the ship. In that event the maritime court will not intervene with the dispute resolution and the 30-day time limit will not apply. In theory, for obtaining security to secure a claim, all the property owned by the party who shall be liable for a claim can be subject to preservation by the competent court as provided in the Civil Procedural law of the PRC, and the procedure of property preservation is generally similar with the procedure of ship arrest. In addition, if the ship to be arrested flies the PRC flag, it could also be subject to ‘living arrest’ by the Chinese maritime court, which means that after a court order for arrest of the vessel is issued, the vessel can still be allowed to engage in trading as agreed to by the maritime claimant, but the disposal of the vessel or mortgage on the vessel is restricted or prohibited. The Special Maritime Procedural Law of the PRC has provision for a maritime compulsory order, and orders for delivery up of property (usually the cargo) fall within this category. The Special Maritime Procedural Law also has provisions for preservation of evidence and preservation of property. In addition to the ship arrest, the other property subject to preservation as explicitly provided in the Special Maritime Procedural Law may include cargo carried by ship, bunkers and materials on board of ship, etc. To apply to the competent maritime court to grant orders for delivery up or preservation of evidence or property, the applicant shall prove that it is a party to a maritime claim while the respondent is a party liable for or relevant to the claim. The applicant shall also prove the emergency to take such actions and provide counter-security to the maritime court as demanded. In theory it is possible to apply to the competent maritime court to take arrest actions on bunkers, given that the bunkers are owned by the party against whom the claim is made. However, in practice it is not easy to persuade the maritime court to grant an attachment order for bunkers only. The reason behind this is that if the liable party refuse to arrange security in consideration of the lift of the attachment order, the maritime court would have to consider pumping the bunkers out from the ship to other place (to avoid the unreasonable detention to the ship) for further disposal, while such actions would most likely need the other authorities’ assistance (eg, the MSA, which will be in charge of oil-pollution prevention during the bunker pumping action, customs, which will be in charge of taxation of the bonded bunker, etc) which is beyond the control of the maritime courts. Accordingly, unless pre-coordination among the relevant authorities for pumping the bunkers can be sorted out, the chance of obtaining an arrest order over the bunkers would be remote in China. Generally, any party who applied to the maritime court for arresting the vessel can apply for judicial sale of the vessel arrested, if the demand of security is not satisfied within prescribed time limit (ie, 30 days after the ship is arrested) and in the meantime it is not appropriate to keep the ship under arrest. If the arresting party does not apply for judicial sale of the vessel after filing a lawsuit or commencing arbitration, the person against whom the claim is made, namely, the owner or bareboat charterer of the vessel, may also apply to the maritime court for judicial sale of the vessel. In this scenario the proceeds acquired through the judicial sale will be kept by the maritime court. In practice we have not seen any precedent case fall within the latter circumstance. The arresting party files an application for judicial sale of the vessel under arrest. The maritime court shall examine the application and make an order to allow or disallow judicial sale. The order is subject to argument, but the maritime court shall have the right to make the decision. The maritime court that orders judicial sale of a vessel shall issue an announcement in newspapers or other news media, within a period of not less than 30 days. The registration authority of the ship as well as the maritime lien holder, mortgagee and shipowner known to the maritime court shall be served with the notice of judicial sale. The creditors who wish to make claim against the ship interests shall within the prescribed period apply in writing for the registration of their respective rights with relevant evidence. The maritime court shall examine the documents and adjudge to accept or reject the registration. The maritime court shall organise a committee of judicial sale, and the committee shall arrange for the assessment and evaluation of the vessel. The committee of judicial sale shall display the vessel for judicial sale, make the vessel available for inspection and provide information about the vessel. The bidders shall register with the committee of judicial sale within a prescribed time limit and pay a certain amount of bidding deposit for purchase of the vessel. The judicial sale shall be made in public. If the vessel is successfully sold in the judicial sale, the vessel shall be delivered to the purchaser after the total price is paid into an escrow account as designated by the maritime court. The maritime court shall issue an announcement stating that the vessel has been sold in a judicial sale and delivered to the purchaser and serve notice to the related ship registration authorities. If the judicial sale fails at first instance, the maritime court may consider organising another sale in accordance with the Auction Law of the PRC. The whole process of a judicial sale may take two to three months. The maritime court will charge costs covering inspection, evaluation of the vessel, announcement of judicial sale, distribution of the proceeds of sale, other expenses for the common benefits of the creditors and other court fees in relation to the judicial sale. Yes, the judicial sale will serve to extinguish all prior liens and encumbrances on the vessel including any maritime lien, mortgage of the vessel and possessory lien on the vessel. It would appear that the related Chinese law does not have provisions regarding the validity of judicial sale of a vessel in other jurisdictions, nor any international convention or bilateral treaty that China has entered in dealing with this issue. As such, we view it is still an undecided issue on whether the judicial sale of a vessel in a foreign jurisdiction will be recognised in China. So far we have not seen any precedent cases tried by the Chinese maritime courts regarding a dispute of the validity of the judicial sale in other jurisdictions; as such we view the judicial sale of a vessel in a foreign jurisdiction to be recognised in China in general. China is a signatory to the International Convention on Maritime Liens and Mortgages 1993, but has not ratified this convention. China has not ratified or acceded to the Hague Rules, Hague-Visby Rules or Hamburg Rules. However, the related provisions of the Hague-Visby Rules regarding the carrier’s responsibilities, exemptions and limitation of liability, and those of the Hamburg Rules regarding, inter alia, the shipper’s responsibilities and actual carrier and transport documents, are adopted in the Maritime Code. China has not ratified or acceded to the UN Convention on Contracts for the International Carriage of Goods Wholly or Partly by Sea (the Rotterdam Rules). Under the Maritime Code, the responsibilities of the carrier with regard to the containerised goods start from the time the goods are taken over at the port of loading and end when the goods have been delivered at the port of discharge. The responsibility of the carrier with respect to non-containerised goods starts from the time of loading the goods onto the ship and ends when the goods are discharged. In respect of non-containerised goods, the carrier and the shipper are free to reach agreement on the responsibility and liability of the carrier for the goods before loading and after discharge. The network liability system is adopted by Chinese law in respect of multimodal transport by two or more different transport modes. The multimodal transport operator may enter into separate contracts with the carriers of the different modes but shall remain responsible for the entire transport. If loss of or damage to the goods has occurred in an ascertained stage of transport, the provisions of the relevant applicable international treaty or law governing that specific stage of the multimodal transport shall be applicable to matters concerning the liability of the multimodal transport operator and the limitation thereof. If the stage of transport in which the loss of or damage to the goods occurred cannot be ascertained, the multimodal transport operator can by far invoke the liability exemption and limitation as provided in the Maritime Code, if sea carriage mode is involved in the entire transportation. It is noted that China is not a party to the Convention on the Contract for the International Carriage of Goods by Road. Road transport is subject to the Contract Law, which does not have any carrier’s liability limitation. China is a party to the Agreement Concerning International Carriage of Goods by Rail, and rail cargo transport is also subject to the Railroad Law of China. However, it is generally believed that the carrier’s liability limitation as provided in these rules will only be applicable if the claims were directly against the Chinese national carriers (ie, China Rail or its subsidiaries). In other words, the freight forwarder might have difficulties to limit its liability for any damage occurring during the rail cargo transportation. China is a party to the Unification of Certain Rules for the International Air Transport Convention and the Hague Protocol. Air transport is also subject to the Civil Aviation Law of China. In the case of any conflicts between an international treaty and domestic law, the international treaty shall prevail. The party who lawfully holds a bill of lading is entitled to sue the carrier, whether it is a named bill of lading, an order bill of lading or a bearer bill of lading. The person by whom or in whose name or on whose behalf the goods are delivered to the carrier is also defined as the shipper in the Maritime Code. As such, so far as a party can prove that it holds the bill of lading lawfully (because of the delivery of the goods to the carriers), it will have the title to sue even if its name is not specified in the bill of lading. While article 95 of the Maritime Code in principle confirms that the terms in a charter party explicitly incorporated in the bill of lading shall bind a third-party holder or endorsee of the bill, and in the meantime there are still many cases wherein the carriers argued before the Chinese courts that the jurisdiction or arbitration clause in a charter party have been validly incorporated into the bill of lading, in reality the Chinese courts tend to negate the validity of the incorporation for various reasons. That said, carriers cannot expect to successfully challenge the Chinese maritime court’s jurisdiction relying on the jurisdiction or arbitration clause provided in a charter party and incorporated into the bill of lading. The demise clause or identity of carrier clause contradicts the definition of the carrier as provided in the Maritime Code and therefore is null and void in China. The maritime courts usually negate the validity of the ‘demise’ clause because it goes against article 44 of the Maritime Code, which provides that the carrier shall not alleviate its obligation as provided by in the law. If shipowners were not the contractual carrier but were accused of liability for cargo damage, the shipowners will usually invoke the provisions in the Maritime Code in defence. In practice shipowners have difficulties in relying on the terms of the bill of lading in defending claims. The reasons are that the shipowners are not a party to the bill of lading and, according to article 44 of the Maritime Code, any provisions carried in a bill of lading that derogate from the provision of carriers’ liability as provided in the Maritime Code, shall be null and void. According to article 49 of the Maritime Code, unless the carriers have some justified reasons (eg, for saving or attempting to save life or property at sea), the goods shall be transported to the discharge port on the agreed or customary or geographically direct route. However, the law does not clarify the remedies allowed to the cargo interests if unreasonable deviation happens. Under the Contract Law of the PRC, the innocent contractual party can claim for damage caused by the other party’s default conduct. That said, the carriers shall undertake the indemnity liability if the causation between the deviation and the damage to the cargo interests can be justified. It will be a controversial issue on whether the carriers can invoke the liability defence as provided in the Maritime Code if the claim is made relying on the unreasonable deviation. Generally, if the unreasonable deviation constitutes an act or omission of the carrier or actual carrier performed with the intent to cause such loss, damage or delay, or recklessly and with knowledge that such loss, damage or delay would probably result, the liability limitation defence shall be unavailable. The burden of proof shall rest upon those with the cargo interests. (iv) under a shipbuilding or ship repair contract, the shipbuilder or ship repairer shall have a lien on the vessel constructed or repaired where the other party fails to pay the shipbuilding or repair price. As a matter of Chinese law only the cargo owned by the debtors are subject to lien by the carriers. In other words, in scenarios (i) and (ii), although the carriers are in theory entitled to exercise lien over the cargo for the unpaid costs, if the ownership of the cargo has already been transferred to an innocent party who (as determined by the maritime court) is not personally liable for the payment of the costs, then the carriers cannot exercise lien over the cargo. Where a carrier delivers goods without the original bill of lading, the lawful holder of the original bill of lading may require the carrier to bear contractual or tort liability for the loss calculated on the basis of the value of the goods at the time of shipment plus freight and insurance (ie, the cost, insurance and freight price of the goods). The carrier cannot invoke limitation of liability for such loss. The possible defence available to the carrier might be that it has no faults in releasing the cargo without production of the original bill of lading. For instance, the carrier had to deliver the goods to the customs or port authority as required by the law in the port of discharge. the shipper shall pay the freight to the carrier as agreed, unless the shipper and the carrier have reached an agreement that the freight shall be paid by the consignee and such an agreement has been noted in the transport documents. The Ministry of Transport has published the Implementation Plan on Domestic Emission Control Areas in Waters of Pearl River Delta, the Yangtze River Delta and Bohai Rim, with which three emission control areas have been established within Chinese territorial waters (ie, the Pearl River Delta, the Yangtze River Delta and the Bohai Rim (Beijing, Tianjin and Hebei)). The main ports in the ECA of the Pearl River Delta are Shenzhen, Guangzhou and Zhuhai. The main ports in the ECA of the Yangtze River Delta are Shanghai, Ningbo-Zhoushan, Suzhou and Nantong. The main ports in the ECA of the Bohai Rim are Tianjin, Qinhuangdao, Tangshan and Huanghua. According to amended Annex VI of MARPOL 73/78, which China has ratified, the sulphur content of fuel oil used on board ships in China shall in any event not exceed 3.5 per cent m/m. From 1 January 2018, the sulphur content of any fuel oil used on board vessels berthing at all the ports of ECA shall not exceed 0.5 per cent m/m (excluding the first hour after arrival and the last hour before departure). From 31 December 2019, China may consider requiring that the sulphur content of any fuel oil used on board vessels entering the ECA shall not exceed 0.1 per cent m/m. The local traffic committee and the MSA are the competent authorities to enforce the regulatory requirements relating to low-sulphur fuel and monitor the emission of vessels entering Chinese territorial waters. The MSA may impose fines or other administrative sanctions on the vessel, its owner, operator or manager. China has domestic regulations promulgated by the Ministry of Transport dealing with the recycling of old ships flying the PRC flag. Generally, a seagoing ship more than 30 years old (varying from 30 to 34 years depending on the type of vessel) shall be compulsorily dis­mantled as scrap. The recycling facilities in China are shipyards that are capable of dismantling scrap ships. If a Chinese ship is dismantled in a licensed shipyard earlier than the compulsory scrap ages, the shipowner may have a chance to apply for subsides from government authorities. According to a recent Chinese government announcement, from 31 December 2018 foreign scrap ships will not be allowed to be dis­mantled in China. The maritime courts exercise jurisdiction over maritime disputes at first instance. The High People’s Court in the province or municipality where a maritime court is located exercises jurisdiction over maritime disputes at second instance. The second instance is the final instance except for special situations in which an application for retrial may be made to the Supreme People’s Court. There are 10 maritime courts in China, located in Dalian, Tianjin, Qingdao, Wuhan, Shanghai, Ningbo, Xiamen, Guangzhou, Haikou and Beihai. Each maritime court has its own geographical jurisdiction. other appropriate means by which receipt of the document by the defendant can be confirmed. The legal documents concerning the arrest of a ship may also be served on the master of the ship arrested in China. The China Maritime Arbitration Commission, which is in Beijing and has a branch in Shanghai, is an arbitral institution specialising in maritime arbitration. The Shanghai Arbitration Court of International Shipping subordinate to the Shanghai Arbitration Commission is also an arbitral institution specialising in maritime arbitration. Other local arbitration commissions are also qualified for maritime arbitration, since many maritime experts are also in the arbitrator list of these local arbitration commissions. The Civil Procedural Law has provisions dealing with the recognition and enforcement of foreign judgments and arbitral awards. The application shall be filed with the competent intermediate courts (including maritime courts) of the PRC, and the Chinese courts may deal with the application according to an international treaty concluded or acceded to by China, a bilateral treaty concluded by China, or based on the principle of reciprocity. So far China only has bilateral treaties with very few countries (eg, Russia) and regions (eg, Hong Kong) in respect of the recognition and enforcement of judgments. Nevertheless, if the Chinese court considers that such a judgment or ruling does not contradict the basic principles of the law of China or violate the national, social and public interest of China, theoretically speaking the court may honour the judgement rendered in other jurisdiction and assist during enforcement proceedings. However, in practice it is very rare that a foreign judgment is recognised and enforced in China. China is party to the New York Convention on the Recognition and Enforcement of Foreign Arbitral Awards 1958. An arbitral award delivered in another state party to the New York Convention will have a good chance of being recognised and enforced in China. 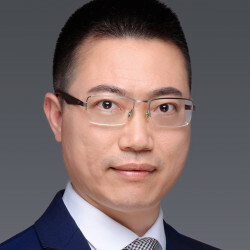 Chinese law does not explicitly exclude the validity of asymmetric jurisdiction and arbitration agreements, and in theory the parties to a contract are free to reach an agreement in respect of dispute resolution method (jurisdiction and arbitration issues). However, if a party to the contract raise jurisdiction dissention claiming that the asymmetric jurisdiction and arbitration agreements provided is unfair and should be revoked, the possibility that such clause is determined invalid cannot be ruled out. In other words, the validity of the asymmetric jurisdiction and arbitration agreements will be dealt with case by case in China. If a claimant commences proceedings in another Chinese court in breach of a valid jurisdiction clause or agreement, the defendant may raise an objection to challenge the jurisdiction of the court hearing the case. The court that has heard the case shall deliver a civil ruling in response to the objection, and the civil ruling is subject to appeal. If the claimant commenced the proceeding or arbitration out of China in breach of a jurisdiction clause, and afterwards the claimant sought recognition and enforcement of the foreign judgment or arbitration award in China, the defendant can file a defence and request the relevant Chinese court to not honour the foreign judgment or arbitration award. The defendant can within the time limit prescribed by the court file a jurisdiction objection substantiated with related evidence. The Chinese court that has heard the case shall deliver a civil ruling in response to the objection, and the civil ruling is subject to appeal. Unless otherwise provided in other law, the General Rules of Civil Law provide a three-year time limit for claims including breach of contract and liability in tort, counting from when the claimants know or should have known that the rights were infringed. The Maritime Code has shorter limitation periods for many kinds of maritime claims, for instance the time limit for a contract of carriage of goods by sea is one year, the time limit for a claim arising out of a charter party is two years and the time limit for a dispute arising out of a passenger carriage contract, salvage contract, towage contract, marine insurance contract and ship collision accident is two years. The time limits are considered as a matter of substantial law in China, and therefore cannot be extended by way of private agreement. Article 137 of the General Principles of Civil Law provides that the people’s courts may extend the time limits under special circumstances, and a similar provision is also provided in article 188 of the General Rules of Civil Law enacted on 1 October 2017, but it is not yet clear what those special circumstances are. In summary, it is very rare that the limitation period is extended by the courts or arbitral tribunals in China. The Maritime Labour Convention has entered into force in China on 12 November 2016. According to the Announcement of Performing the Maritime Labour Convention published by the Ministry of Transport and the Ministry of Human Resources and Social Security, the Maritime Labour Convention 2016 applies to Chinese vessels engaged in international voyages and coastal voyages and all crew members on board such vessels, excluding military vessels, official vessels, fishing vessels, sports vessels and other vessels navigating or operating merely within a port area, inland rivers and sheltered waters. The categories of the social insurance applied to China are endowment insurance, medical insurance, employment injury insurance, unemployment insurance and maternity insurance. Chinese law does not have this kind of mechanism. Unless otherwise provided in the contract, the parties to a contract must fully perform their obligations under the contract, and any change in economic conditions will not be a good reason to seek relief from enforcement of the contract. According to the Convention on Limitation of Liability for Maritime Claims 1976, a shipowner is entitled to limit its liability for claims in respect of raising, removal, destruction or rendering harmless of a ship which is sunk, wrecked, stranded or abandoned. In China a claim of this kind is not subject to liability limitation and the owners of the sunken ship shall pay the wreck removal costs in full. The Maritime Code is now being reviewed and might be amended in future. However, there is no specific time frame on this matter.